Falmouth, ME., Nancy N. Oliver, loving, mother, sister, grandmother, and friend, passed away of natural causes in Falmouth, Maine on September 28, 2018 at the age of 86. 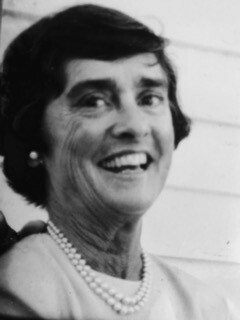 Known as Bobbie, she had been a long-time resident of McLean, Virginia and Rochester, Vermont. Bobbie was born on November 20, 1931 in New York City. She grew up in Concord, MA, and attended the Winsor School, Concord Academy, Briarcliff College and the American University. Bobbie was actively engaged in community activities and in helping others. She volunteered much of her time with library, the ambulance service, and the elderly. She made us all smile with her sense of humor, opinions, and determination in life. She was an accomplished horse-back rider, tennis player, cook, gardener, and loved her crosswords. Bobbie is survived by her three children, Elizabeth (Lisa) Chapin of Washington, DC. Nancy (Nina) de Rochefort of Portland, ME, and Aldus (Chip) Chapin of New Canaan, CT. She is also survived by her sister, Harriet Gardner and two grandchildren, Leila and Nicolas de Rochefort. A private burial will be held for Bobbie at the Seaview Cemetery, Rockport, Maine at a later date.